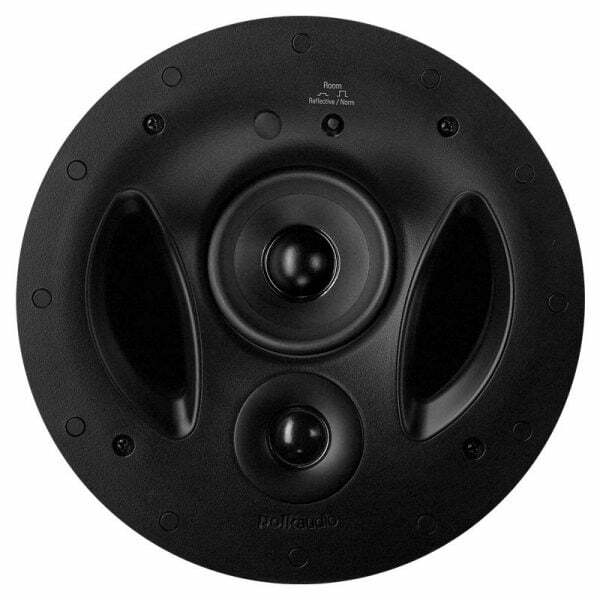 The Polk Audio VS 90-RT delivers surprisingly full-bodied full-range performance. The unique 3-way driver array means you get full-size speaker performance in a speaker the size of a small inset lighting fixture. Vanishing Series built-in speakers features Polk Audios exclusive wafer-thin Sheer-Grille, a magnetically-secured grille that protrudes only 7mm from its surroundings. Sheer-Grilles have nearly transparent, ultra-small perfs, and are acoustically inert, for dynamic, unimpeded sound and more uniform coverage, even in larger rooms.